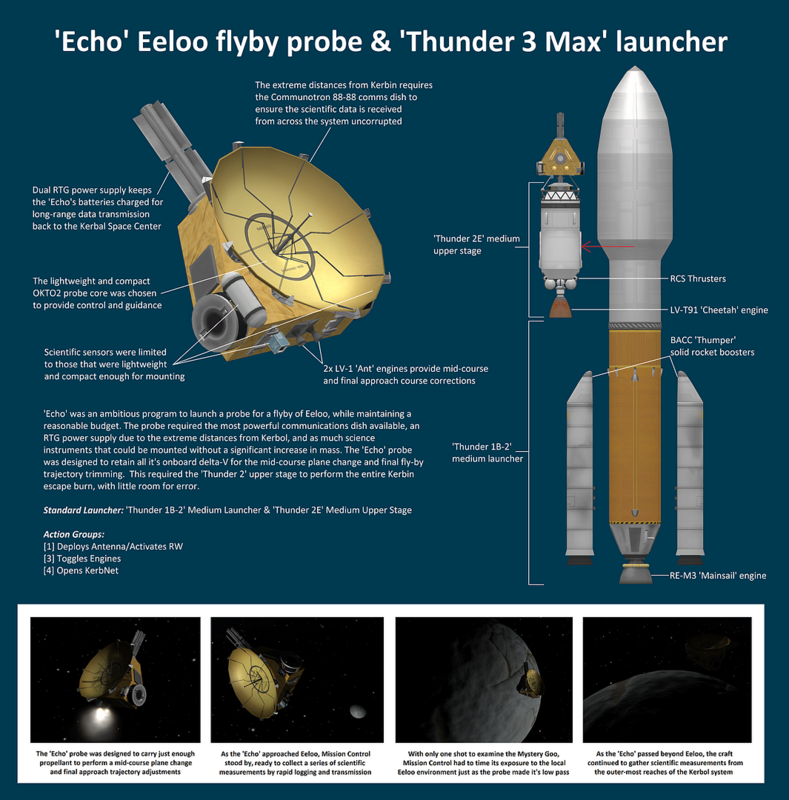 ‘Echo’ was an ambitious program to launch a probe for a flyby of Eeloo, while maintaining a reasonable budget. The probe required the most powerful communications dish available, an RTG power supply due to the extreme distances from Kerbol, and as much science instruments that could be mounted without a significant increase in mass. The ‘Echo’ probe was designed to retain all it’s onboard delta-V for the mid-course plane change and final fly-by trajectory trimming. This required the ‘Thunder 2’ upper stage to perform the entire Kerbin escape burn, with little room for error.